Summary: Krycek comes back from Roswell... pissed off at Mulder. Author's Note: I made this! We see Mulder lying on his couch. He has had a long day of relaxing after his long drive back from Roswell... in his new red convertible. The tv is on, and Mulder is channel 'surfing'. to talk with you today. Ok, fine. I'll come in. Mulder hangs up the phone, and goes to change into his work clothes. Mulder has finally arrived back at work. His office is dark. He turns on a light. He immediatly notices his desk is clean, and has a different name plate on it: Dana Scully. He looks around and sees that in the back of the office is a smaller desk with Mulder's name plate on it. Mulder turns and looks at her. We catch Skinner in mid sentence. Sitting there looking like a lost puppy dog. MULDER - looks up, looking more pathetic. time. I've had enough of you. do ya mean by that? The 'new' agent comes in. A familiar face or... Alex Krycek. Finally free from being in jail in Roswell. Mulder looks to Skinner who is trying to contain his laugh. Mulder looks back at Krycek. Krycek gives Mulder an evil grin. Their office is new, and out of the basement. Krycek and Scully go back to their files. A short time later, Mulder returns with their drinks. Mulder has had enough. He hands Scully her water. He walks over to Krycek and pours the double espresso on his lap. Krycek jumps up. Mulder starts to laugh. Mulder is laughing so much and so hard, he falls over backwards. Krycek walks over, picks Mulder up by the collar of his shirt and WHACKS him with his head. They both fall in pain, holding their heads. Scully gets up and leaves the room. Scully leaves. Mulder and Kryce don't realize this. poured my espresso on me! Punches Krycek. They continue to fight in this pattern for a while. 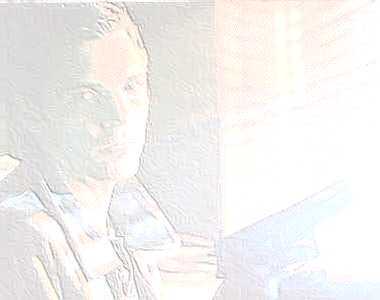 TRIPS Krycek and PUNCHES him. You ripped my new shirt! I think you broke my nose! A CRASHING of a desk is heard. Scully just shakes her head "no". A hard, and final WHACK is heard. Then silence. Scully and Skinner hear footsteps coming to the door. The door opens... It is Krycek. He says nothing as he passes Scully and Skinner. does indeed have his new shirt ripped, and some blood on it. He staggers away. watch him as he goes down the hall. They look back into the office and see Mulder laying on the ground. Scully looks at Skinner who burst out laughing at Mulder and Krycek.